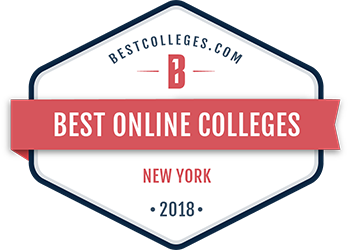 In the latest rankings from BestColleges.com, Adelphi University was named one of the best online institutions of higher education in New York. Adelphi placed in the top 20 on the website’s list of Accredited Online Colleges in New York and among the top 10 for the state’s Most Affordable Online Colleges. This recognition reflects our commitment to providing nationally accredited and academically challenging online programs with the flexibility to fit into the schedules of busy professionals. At Adelphi, you can attend online or blended degree and certificate programs in several areas of study and at both the undergraduate and graduate level. Undergraduates who pursue an associate’s or bachelor’s degree in Emergency Services Administration gain the knowledge they need for positions where they plan for threats and take charge in hazardous situations. Professionals can develop advanced skills in handling dangers by earning a Master of Science or Graduate Certificate in Emergency Management. Programs from the College of Nursing and Public Health and the School of Social Work are available online for professionals who work in or want to enter the health and wellness fields. The online Master of Social Work incorporates opportunities to gain real-world experience and prepares graduates for state licensure. Students who complete an online Master of Science in Nutrition learn how to promote healthier eating through research, education, policy and advocacy. Students who want to make an impact through education have several options for developing advanced skills. A graduate degree in Educational Technology readies educators to implement powerful methods for engaging learners. Art Education master’s students help young people discover their own creativity by participating in hands-on fieldwork. A Certificate in English to Spanish Translation Studies brings graduates experience in putting their bilingual skills to work with texts ranging from literary works to legal documents. Educators who are passionate about helping people with autism disorders can build their expertise by earning an advanced certificate online. Adelphi University is proud to offer the best online higher education programs in New York by connecting students with a cutting-edge, flexible education that fits into their schedules while helping them build their careers. Using state-of-the-art technology, the highly knowledgeable faculty deliver classes that meet the same high standards as traditional courses. Our small classes and individualized support allow us to provide personalized attention and help students excel in our programs and beyond.